Exhibition in “Het Nieuwe Instituut” (Rotterdam), Tijdelijk Modemuseum. Zooming in on Dutch fashion culture with various exhibitions, installations from renown designers in fashion but also in graphic design and photography. 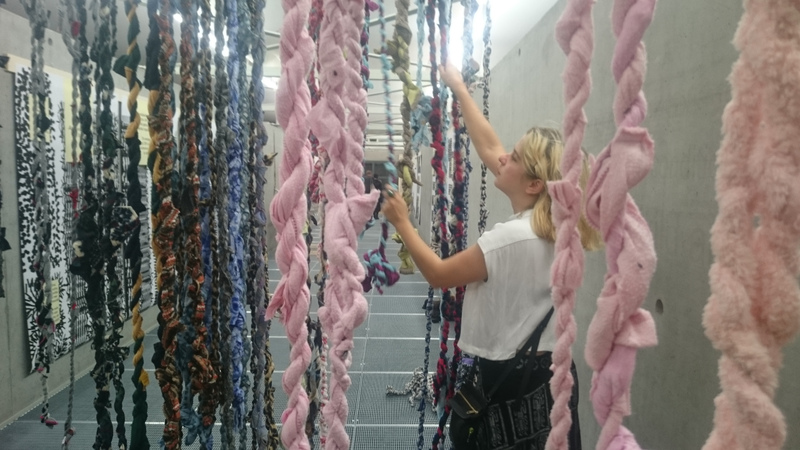 Here I visited the opening to see the work my colleague Verena Michels (fashion designer/ artist), who assisted during the creating of the”Fashion Data” installation, by Conny Groenewegen. This emphasizes the social and environmental impacts of the contemporary global garment industry.